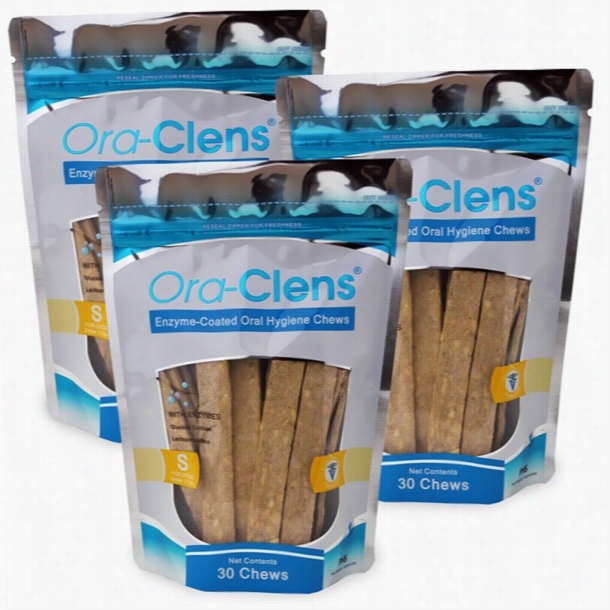 3-PACK Ora-Clens&reg; Oral Hygiene Chews Small (90 Chews). 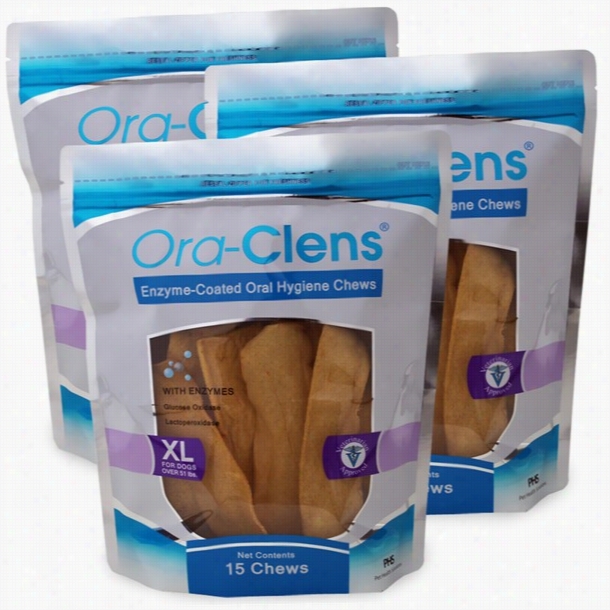 3-PACK Ora-Clens&reg; Oral Hygiene Chews X-Large (45 Chews). 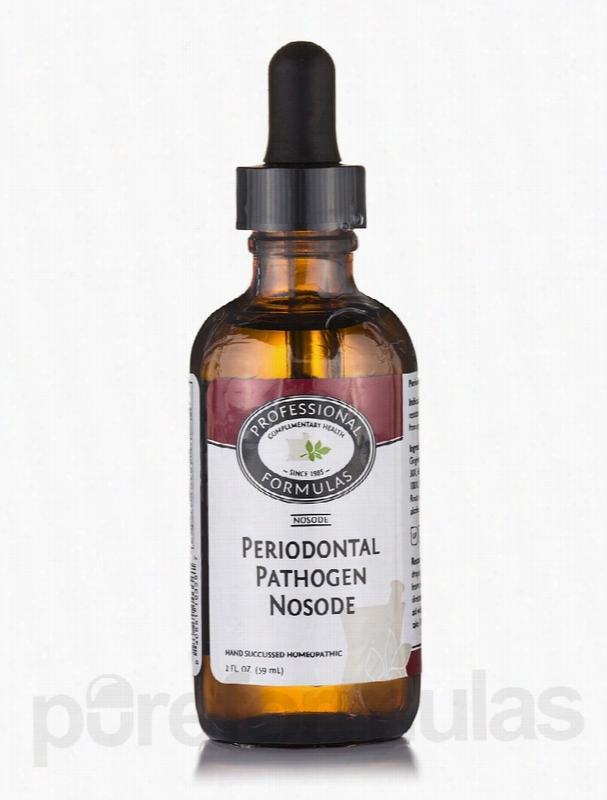 Professional Formulas Homeopathic Remedies - Periodontal Pathogen. Provides homeopathic aid in support of improving resistance to and recovery from periodontal disease. These statements have not been evaluated by the Food and Drug Administration (FDA). These Products are not meant to diagnoseÃ¢ÂÂ treat or cure any disease or medical condition. Please consult your doctor before starting any exercise or nutritional supplement program or before using these or any product during pregnancy or if you have a serious medical condition. 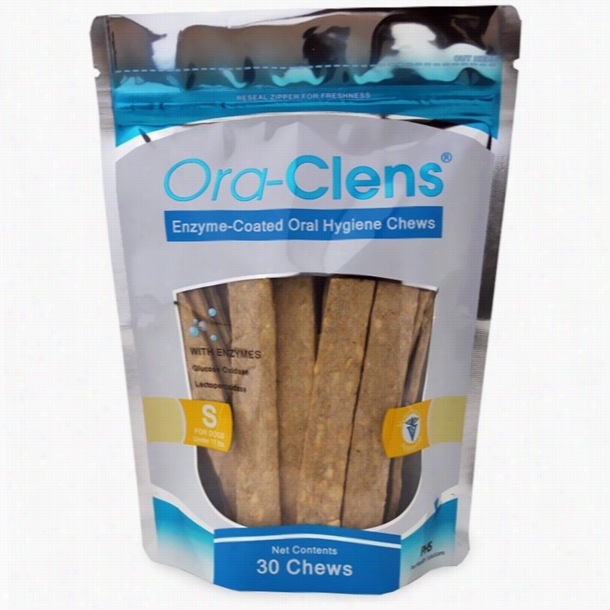 Ora-Clens&reg; Oral Hygiene Chews Large (30 Chews). 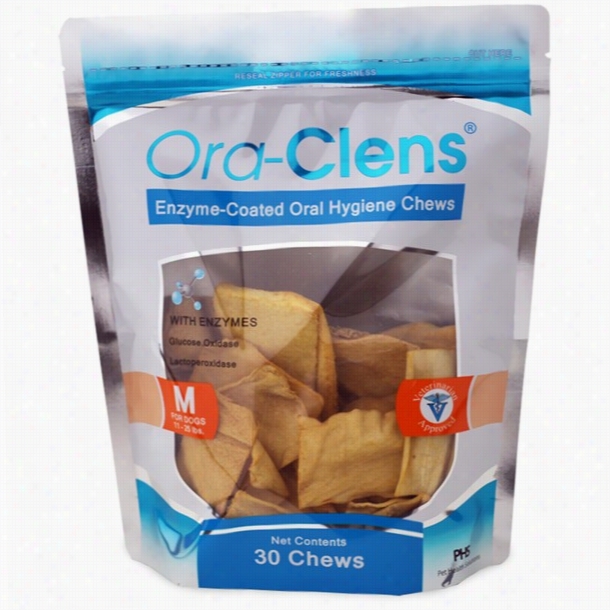 Ora-Clens&reg; Oral Hygiene Chews Medium (30 Chews). 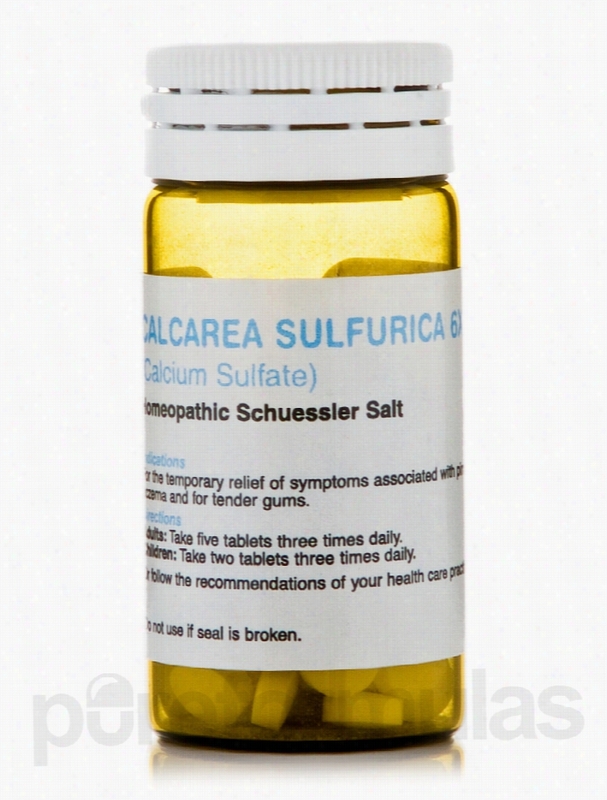 Seroyal Homeopathic Remedies - SCHUESSLER - Calcarea Sulfurica 6X -. Calcarea Sulfurica 6x 100t/Schuessler is available by Seoryal/Unda.Calcarea Sulfurica tissue salts affect the bile and connective tissue. This tissue salt is indicated in conditions such as sinusitis&sbquo; skin disorders&sbquo; exudative abscesses&sbquo; superficial skin burns and inflammation of mucous membranes. These statements have not been evaluated by the Food and Drug Administration (FDA). These products are not meant to diagnoseÃ¢ÂÂ treat or cure any disease or medical condition. Please consult your doctor before starting any exercise or Nutritional supplement program or before using these or any product during pregnancy or if you have a serious medical condition. 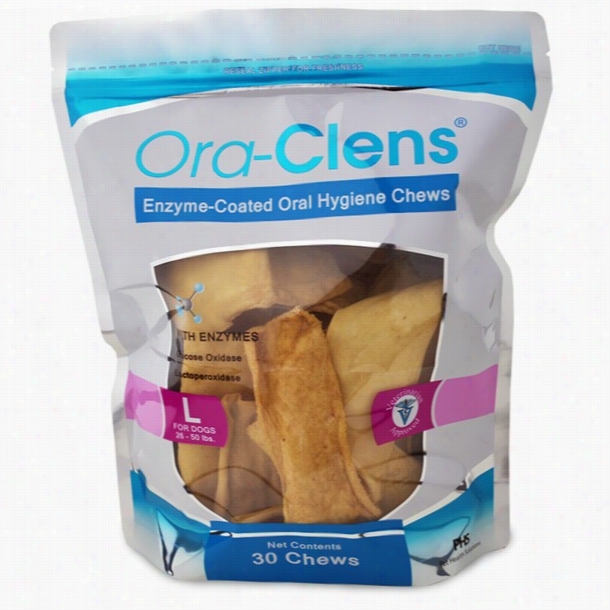 Ora-Clens&reg; Oral Hygiene Chews Small (30 Chews). 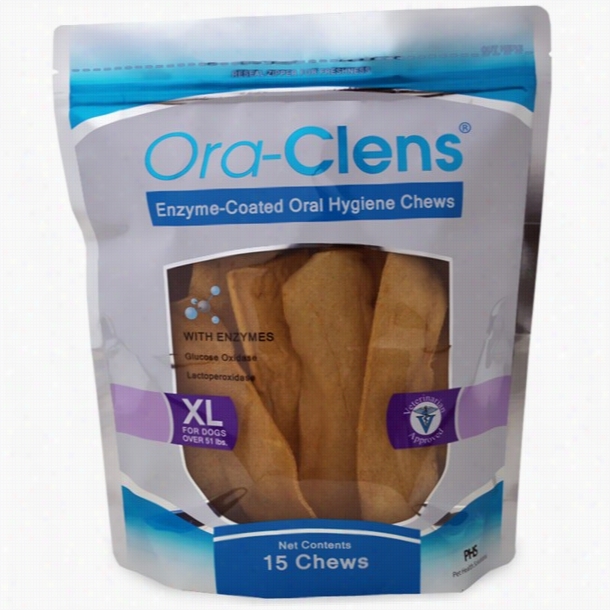 Ora-Clens&reg; Oral Hygiene Chews X-Large (15 Chews). 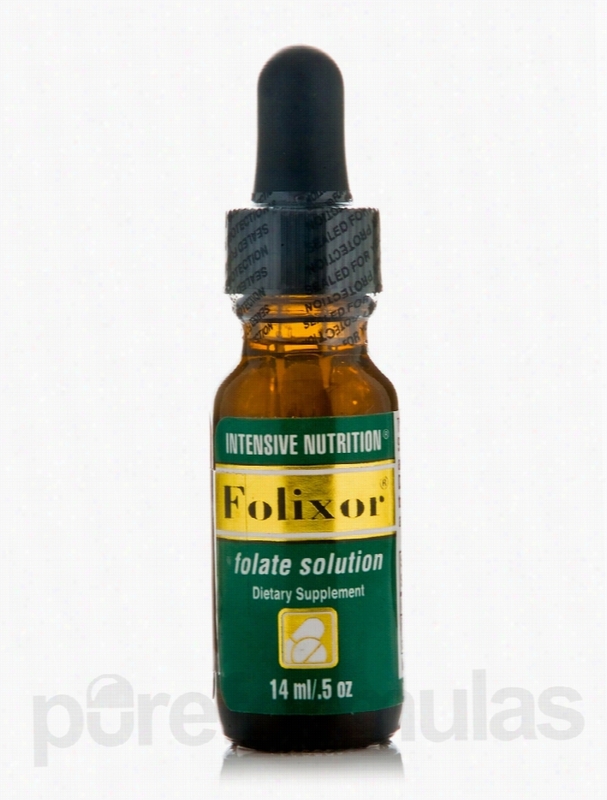 Intensive Nutrition Cardiovascular Support - Folixor (Folate Solution). What does Folic Acid do?Folic Acid is B Vitamin and functions in a fashion similar to that of Vitamin B12. It aids in red blood cell production&sbquo; and helps break down and utilize protein. It is Essential for DNA &amp; RNA synthesis and thus important for healthy cell division and replication. For expectant mothers&sbquo; it helps prevent neural tube defects*. Folic Acid helps to protect us from heart disease* because it helps to reduce concentration of artery clogging amino acid&sbquo; homocysteine. It works synergistically with B12.Who should consider this formula? Folic Acid supplementation is essential for all women of child bearing age. It supports heart health as an antagonist to artery-clogging amino acid&sbquo; homocysteine. Folic Acid may have additional applications for: cervical health&sbquo; mental health/acuity&sbquo; oral hygiene.Why is Folixor&reg; liquid great for oral health? It has been shown that folic acid directly applied to the gums helps support periodontal health and may counteract negative effects of oral bacteria.How to take Folixor&reg; liquid Folixor&reg; liquid is an excellent supplement for individuals who are on the go (and want to keep the supplement in their desk&sbquo; e.g. women who are looking to get pregnant and want an easy way to supplement with Folic Acid)&sbquo; for people who do not like to swallow or keep tablets in their mouth and it can be mixed into drinks (cold only) as an added vitamin boost. These statements have not been evaluated by the Food and Drug Administration (FDA). These products are not meant to diagnoseÃ¢ÂÂ treat or cure any disease or medical condition. Please consult your doctor before starting any exercise or nutritional supplement program or before using these or any product during pregnancy or if you have a serious medical condition. 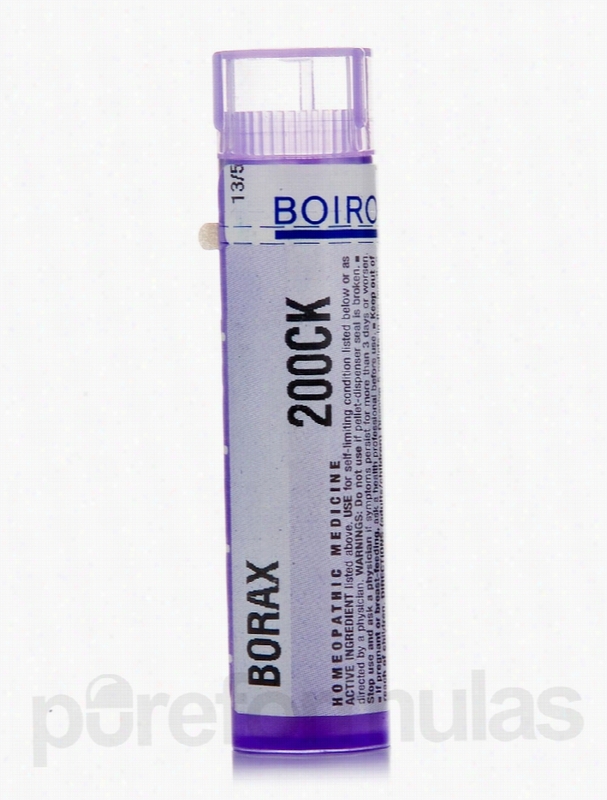 Boiron Homeopathic Remedies - Borax 200ck. Indication: Mouth ulcersCommon name: Sodium borateConfirmation: Burning mouth ulcersAggravated by: ContactContains approximately 80 pellets These statements have not been evaluated by the Food and Drug Administration (FDA). These products are not meant to diagnoseÃ¢ÂÂ treat or cure any disease or medical condition. Please consult your doctor before starting any exercise or Nutritional supplement program or before using these or any product during pregnancy or if you have a serious medical condition.